Join us on a blissful, weekend of Self Care in the lush rainforest setting of Gymea Eco Retreat and Spa. Learn how to tune into your own Self Love. On Valentines weekend, perfect for for singles or couples..
– The Pathway to Love is through the Self – Saturday 9th March – Sunday 10th March 2019. 🌿 One-night accommodation, twin share in the valley of a rainforest. Organic bedding. Purified rainwater shower. 🌿 Healing Spa Journey soak your cares away + Hands on treatment. 🌿 Dip into the Magnesium Plunge Pool. Excellent for anxiety and anti aging. 🌿 Soak deeply into our outdoor Ozone Spa. 🌿 Delicious and nourishing meals made with love and by vegetarian Skye Ollington. 🌿 Magnesium Resort Style Pool swims. Night swims under the stars. 🌿 Gentle Flow Yoga with Mello Appleyard will allow your Heart chakra to open. 🌿 Journey on the Land. Contemplation. 🌿 Self Care Aromatherapy and Self love guided meditations. 🌿 Time and Space in Nature. 🌿 Moments of Bliss. Be absorbed in the power of Nature. Bookings Essential Please call us on 02 6679 5555 to reserve a special place for you. Limited numbers to allow a tranquil experience. 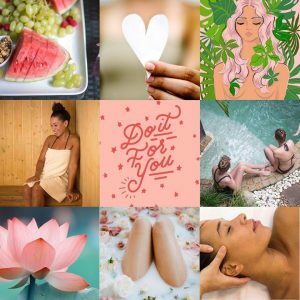 🌿 There will be an opportunity for 1 on 1 sessions with Self Care Mentors Louise Stephanie and Maria Rutledge for a more personal deeper perspective. Massages, Coconut Body Wraps and Organic Facials available.